We live in very rushed times, and most of us look for effective ways to reduce the time it takes for personal grooming. Hence, the idea of not having to shampoo our hair, rinse, shampoo again, rinse, use conditioner, and rinse again - seems like a terrific idea! Who doesn't want a full head of hair that is shiny, soft, and manageable? I know I do! In addition, I do not wish to have a head full of frizzy hair. Living in a humid climate, that can sometimes be a challenge. It seemed to me to be a great idea, to combine a cleanser and a conditioner into one product. I remember when "Twice as Nice" first came out, and was "all the rage". That didn't seem to last very long, though, as people simply felt their hair was not really clean. I remember trying it, and felt like it made me shed a lot of hair. Of course, that experience was many, many years ago, but I still remember why I stopped using it. Today, there are lots of products on the market that are cleansing conditioners. Some of them are very expensive, and some of them are reasonably priced. I have tried quite a lot of them, only to become disillusioned, time and time again. Don't think for a moment, that I do not understand the concept. In order to stop stripping our hair of all of its natural oils, a cleansing conditioner makes "sense". I simply found that my hair never felt clean, no matter which product I tried. There is something about having that "clean scalp" feeling, and I was not getting it with cleansing conditioners. I have returned to shampoo and conditioner, although I now use only products without dimethicone or sulfates in them. It seems to take a while for your hair to adjust to the lack of those ingredients, but once it has - you again have a head full of healthy hair. One of the companies that I tried, was Renpure. I absolutely loved the smell of the one called Sweet Pomegranate, although I also purchased - and used - the Rosemary Mint one. My first experiment with their products was positive. I really enjoyed how my hair felt, how manageable it was, and how it smelled. It did not seem to leave my hair very shiny, though. Since I am in my 60's, and since I still have long, dark hair - I wanted it to be shiny, long, dark hair. That was disappointing, to say the least. With repeated usage, over the course of 2 months, I began to notice something else that really concerned me. Every time I used it, my hands would be covered with hair that should have been on my head! I saw a lot of my dark hair in the drain, too - that's not good! To be sure it was not simply my imagination, I used it one last time. No, it was not a figment of my imagination at all - I was losing lots of hair! Needless to say, I stopped using it. I tried several different shampoos and conditioners, and have found a company that I am happy with. They are not a large company: I believe they only sell the shampoo from one outlet at the moment, and they make their shampoo in small batches. My Hair Is Staying On My Head, Where It Belongs! Now, when I wash my hair, which is not a daily occurrence, I do not have strands of my dark hair entwined in my fingers when I am finished with the final rinse, and the end results are great! My hair is soft, shiny, manageable, and clean - and it stays that way for several days. I don't think it is a good idea to shampoo one's hair every day, anyway. Mine seems to be at its best, a day or two after I wash it. Perhaps you have never heard of Renpure's Cleansing Conditioners. Perhaps you have never used any cleansing conditioners. Perhaps you are enamored of the "no-poo" method. Regardless of your own personal preferences, please take my experience to heart. I could not ascertain exactly what ingredients in Renpure's products were causing the hair loss, but something surely was! Which One of These Ingredients Was Making My Hair Leave My Scalp? Purified Water - we can assume this one is acceptable. Cocamidopropyl Betaine (Coconut Oil*) - this ingredient, derived from coconut oil has some concerns in regard to allergens and contaminants. Cetyl Alcohol (Palm Oil*) - there are some concerns about organ toxicity. Behentrimonium Chloride (Rapeseed Oil*) - I never ingest it, but it seems to be considered safe. Argania Spinosa Kernel Oil (Argan*) - the consensus is that it is safe. Hypnea Musciformis Extract (Red Seaweed*) - protects the skin; not known to be harmful. Gellidiela Acerosa Extract (Red Alga*) - no health hazards to be found. Sargassum Filipendula Extract (Brown Seaweed*) - skin protector that seems to be very safe. Helianthus Annuus (Sunflower*) Seed Oil - safe. Cocos Nucifera (Coconut*) Oil - no indication of toxicity. Punica Granatum (Pomegranate*) Fruit Extract - no known health hazards to be found. Hydrolyzed Pea Protein - low health hazard. Psidium Guajava (Guava*) Fruit Extract - no well-known toxicity. Butyrospermum Parkii Oil (Shea*) - the consensus is that it is extremely safe. Sorbitol (Sugar*) - humectant; generally safe. Amodimethicone - for conditioning hair; low toxicity indicated; can be irritating to the scalp. Trideceth-12 - emulsifier; toxicity is considered to be low. Cetrimonium Chloride (Palm Oil*) - preservative, known to be an allergen and toxic to skin. Guar Hydroxypropyltrimonium Chloride (Guar Bean*) - health hazards estimated to be low. Glycereth-26 (Coconut Oil*) - clean bill of health. Silicone Quaternium-17 - it is a silicone, but seems to be safe. Diazolidinyl Urea - this one says it can be an immune toxicant; may have formaldehyde in it; possible link to cancer - great! Iodopropynyl Butylcarbamate - known to be an allergen and considered to be toxic. Butylene Glycol - seems to be safe. Disodium EDTA - adjudged to be safe. Fragrance - unknown, as we do not know what is used for the fragrance. After researching the ingredients, I am still not certain which one of them was responsible for my hair loss, but something surely was! I have never tried Wen products, as I find them a bit pricey for my taste, so please do not think I am promoting that product, and attempting to discredit Renpure. I am not. No, I do not have any financial interest in any particular hair care company. In addition, I am not a member of any network marketing company, as I do not care for the multilevel marketing approach to selling goods. My purpose in sharing my sorry experience with Renpure, is simply to save someone else from seeing a lot of their hair merrily swirling down the drain. Have You Used Renpure Cleansing Conditioners? Did you lose a lot of hair? Did you like it? Are you still using it? Yes, I currently use them, and love them! Yes, I have used them, but no longer do. Yes, I have, and lost a LOT of hair! No, but I was going to. After reading this, I will not. I don't wish to lose a lot of hair! Lots of good information can be found here from the FDA, on selected cosmetics products, ingredients, and potential contaminants. I do not have "tightly curly" hair, but that doesn't matter. Their extensive ingredients list and ratings of the same, is a great resource. This site is loaded with information about ingredients that are in products we use on our bodies. I have enjoyed reading their in-depth exposés many times. Have you considered that you're supposed to naturally lose a bunch of hair every day? If I brush my hair after I shampoo, I lose a bunch of hair. I think losing hair is natural. Some hair follicles aren't healthy, so they fall out. Making room for new hairs. Maybe it's something different but I just thought I'd give my two cents. I did consider that, and am aware that we naturally use quite a few hairs a day, however the hair loss I was experiencing was unusual and a bit frightening. I just believe that the Renpure Cleansing Conditioners were not a good "match" for my hair. Since I stopped using the products, my hair is a lot thicker, and grows fast! Are all Renpure products problematic? I do not know, as I have not tried all of their products. I had the issue with the Renpure Cleansing Conditioner. Can you please share the name and details of the shampoo and conditioner you found that you are satisfied with? I have found a few. Right now, I am using the shampoo and conditioner from Neem Tree Farms. The shampoo is low suds, but cleanses thoroughly, and the conditioner is awesome. Love the combination, and so does my rapidly growing hair. Coconut oil is not for everyone. It can cause dry hair and hair loss in certain hair types. Do you think that is what caused your hair loss? Is canola oil is linked to skin issues? Glad it is keeping your hair in good shape, Nancy. I just know that it made me lose a lot of mine! I've been using for years Renpure Pomegrante and Lavender and it is the best thing for my hair. Any other shampoos got to the point of causing tangling on one side of my head. Didn't like Wen. No I don't lose a bunch of hair. Rosemary one makes my hair oily. Cara, that may be exactly why cleansing conditioners do not work for me - thank you! Cara, that makes sense. I have no idea if my testosterone levels are high or low, but I do tend to behave as though I am "driven" all of the time, in business and in my personal life. Perhaps that is why cleansing conditioners and my hair simply don't "get along"! It's just not for you. Cleansing conditioners do not remove all of the oil. Some people's scalp can't handle the oil left behind and the oil smothers the hair follicle, resulting if fall out. Another issue they found is that women with high testosterone or androgens can't use cleansing conditioners. Their sebum contains testosterone/androgens and when it's not removed from the scalp, it's just like putting a testosterone cream on there, the hair falls out. Lisa Marie, I hear you. Seems like we need to get back to basics. When I was a young girl, my hair was shampooed and rinsed with apple cider vinegar and water, and it was great. Wish we knew why some conditioners wreak havoc with our hair. If you find one you really like - let us know. I have been enjoying the Neem Shampoo and Conditioner that I purchase, and hair looks great. I avoid using conditioners completely unless in a hotel because those shampoos make your hair like straw. I have some scalp psoriasis (which has improved considerably since I switched my diet to grain free low carb) but conditioners always seemed to make it worse and cause hair loss. Like you, I don't know why. People often blame shampoo but I think conditioners might cause a reaction. I use a gentle 2 in 1 shampoo, usually L'Oreal Elvive Phytoclear or Garnier Ultimate Blends. Incidentally Head and Shoulders Sensitive actually makes my HANDS sore as well as my scalp. Dodgy stuff in some personal care products obviously. Glad you liked the article, Maria, and very glad you are NOT having the results that I did. It was a bit disconcerting to see how much hair I lost. Granted, everyone is different. For me, this was not "user-friendly", to say the least. Loved the smell, but did not like the results. Thanks for the thoughtful article. I have not had the same problem using renpure. I have seen a bunch of negative comments with out your indepth explanation and since i have had nothing but positive results i was wondering about all the negative. It is my opinion that there must be different types of hair/skin that people have (much like the differences well known about black people hair/skin) that are not as readily deseranable. My hair is getting longer and i actualy have more with renpure. I am glad to hear you found something that works for you. Thanks again for the well written article. Brett, I am glad to hear you are having good results. That has not been the case for many of us, though. For me, it was not a good experience, and my hair has been a lot healthier without the Renpure. I have a lot MORE hair, too! Renpure(R) has saved me from scalp and skin eczema. I use it just a little more often than once per week. I'm experienceing less (eczema related) hair loss. Veronica, I know - same experience I had!!! It just does NOT work for some of us! I used this shampoo for 3 weeks, and lost a ton of hair. It seemed to make my hair softer at first, but after a few weeks it just seemed dry and brittle, and I was losing so much in the shower and combing afterwards. I stopped using it 2 days ago, and the shedding has stopped. Aliyah, nice to hear that. When I used it, my hair "left", and in a hurry, too! Grace, I am very glad to hear that you had a great experience with this product. Unfortunately, I did not, nor have many others. Understandably, everyone's hair and scalp are different, but I have been washing my hair for well over half a century, and never had such a disastrous experience as I did with the Renpure Cleansing Conditioner. Nice to hear you are pleased with it, but my hair was not. I've used Renpure cleansing conditioner for about 8 months now and I love it. I have completely stopped using shampoo (I used it sparingly for 2 months when I first tried renpure). I feel like my hair and scalp now develops oil differently and I use a loose powder dry-shampoo in-between washes. About every 3 days I wash my hair with renpure. It has become apart of me having stronger, shinier and thicker hair. I hardly have any split ends and barley need to get my hair trimmed. Before i started using Renpure, I had experienced hair loss, breakage, dryness and couldn't not get much length. I have hypothyroidism since i was 25 (I'm 30 now). I had stress related hair loss in the past, taken vitamins with no results, stopped getting my hair dyed, switched to a boar's hair brush, decreased my blow dryer and hair straightener use, eliminated brushing my hair when wet, tried hair masks and so many expensive treatments and products... all of this and very little changes over 2 years. Then i tried Renpure cleansing conditioners and I finally got results. People have noticed. My hair stylist of 7 years knows just how greatly this product has changed my hair for the better. In the shower I wet my hair completely. I use about 12 pumps and gently massage it close to may scalp. I let it sit for a little bit (long enough to wash my body) then rinse and repeat with 6-10 pumps. The second round I get the product closer to the back of my scalp because my hair has de-tangled from doing the fist round. I gently de-tangle with my fingers but I'm not too diligent at this. I usually let my hair air dry and de-tangle with my figures after it dries. I don't brush my hair until the second day and I barley feel the need to use hairspray anymore. No more frizz and fly-aways. I'm also crazy happy with my hair now when I do style with heat tool, do a messy bun, do voluminous curls or a sleek ponytail. I used it only “once” and gasped when I saw how much hair was in the drain. Oddly enough... the rest of my hair that didn’t fall out.LOL..(until next time)..looked great! Genevieve, I am so sorry to hear you had that type of reaction to Renpure products. Evidently many people can use it without issues, but the hair loss did it for me! I truly wanted to like it, but it did not like me at all. Glad you did not experience the loss of hair, and hope you find an organic one that works for you. I loved Renpure at first. I was using the extra strength 7 super oils. After while I noticed the back of my scalp and neck had intense burning and itching. My husband took photos and said maybe scalp psoriasis. Im 27 and had never had anything as such. I switched different shampoos but I kept the same Renpure conditioner. After while i noticed after I used the conditioner my scalp would tingle then itch. I have since stopped using it and my scalp is not pink and dry. It's back to normal. I am not sure which ingredient I am allergic too but I'm so relieved to have that intense itching and burning gone! I did not have any hair loss from using Renpure. My husband still uses the thickening shampoo and loves it. I am in the market for another hair brand, organic. I would love to try a local organic brand here in Texas. jodie - I am very glad to hear that. For me, it had the opposite effect - not the soft and shiny part - the hair loss part. As we are all different, our bodies react differently to various things. The cleansing conditioner was not a good thing for me to put on my scalp and hair. CTin - I do not know. It happened rather rapidly for me - a couple of weeks. renpur has transformed my hick hair.i only have to use it approx.every 3 or 4 days.my hair is so soft and shiny.i use the renpur cleansing conditioner and then a small bit of regular conditioner and it works for me. How long after discontinued use does it take for hair to stop falling out and regrow? I have stopped using it for a few weeks now but my hair is still falling out and super thin. It's freaking me out! Ginger4, I wouldn't be a bit surprised. Glad you noticed that may be the problem. It took me a while to figure it out. Ceasing to use the product caused my hair fall to also cease. Wouldn't be a bit surprised if several other similar products are causing trouble with many other people. Glad you found this page, and really hope you get your full head of hair back! Oh, Sandi, that is terrible! I am so sorry to hear that. THAT is why I wrote this article. Seems a lot of the "cleansing conditioners" are simply not conducive to keeping a full head of hair on our heads! Brandimade, that is nice to hear. I used it for awhile, before I noticed what was happening to my hair. It DID make my hair feel silky, but I ended up losing a lot of it. Thankfully, it has grown back in! Chrissy Kline, I cannot tell you for sure it that is causing your hair loss, but I can tell you that I shed very, very little hair anymore; when I shampoo my hair, or when it is dry. Prior to me switching to what I use now, I was ending up with a lot of balled-up hair in the sink, hair on the floor around my desk, hair on the bathroom floor, and so on. It is quite enjoyable not to be experiencing that anymore, and the change started when I ceased using the Renpure products. Check out my comment to Tracy, above yours, to see what I am using now. Hope it helps you! I have been using the Rosemary Mint Cleansing Conditioner for quite some time now! 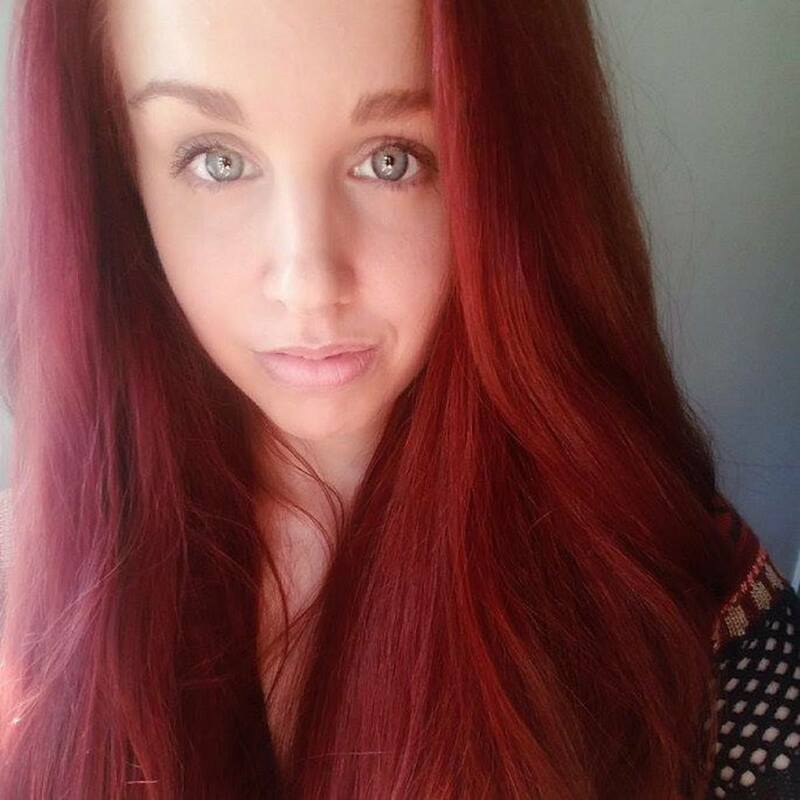 I do have long, thick, dark hair as well, and so far I've had a great experience with it! I did just barely purchase the Coconut Cream Shampoo for this first time a few weeks back, due to needing an extra clean because of all the hair product I've been using lately. I do notice that I lose a ton of hair! But that's how it's been since I was a teenager. (Which isn't that long ago. Lol!) My sister, along with friends, have told me that it's natural to lose hair. Especially when showering. So I've never worried about it. Reading your experience is starting to worry me. My hair has gotten thinner over the years, it's quite upsetting. But I don't know if it's just me or the Renpure Conditioner I've been using. I don't want to lose my hair! How can I know for sure what it is? Thanks for your comment, Tia, and for sharing how you regained your crowning glory. I agree, once you have found a solution that works, don't do something that could possibly undo years of hard work. Renpure just was not for me! Age-related hair loss started for me around 45 yrs old. Same 6 months out of every year. Then it would stop for 6 months. I finally began taking hair vitamins every day..been doing that for 5 years now, plus I use rogaine. My hair transformed to the beautiful hair I had in my 20's. It is down to my waist almost now and it is so shiny. I was hesitant about trying the RenPure and I wanted to research it first. It's going on a shelf now...I can't afford to ruin my years of hard work. There are other options for shampoo out there for me. Thank you for your information. Chelsea, I am glad to hear that. Evidently it is working for you, but it simply did not work for me. I lost a lot of hair, and since I stopped using it, my hair has stayed on my head, where I LIKE it to be. We are all so very different, that what works for one individual, may be disastrous to another. Again, I am glad you are pleased with your results. Had I been pleased with the results I got, I would have written a glowing review for the product. Unfortunately, I could not. I was losing hair by the handfuls, and simply had to stop using it. I have been using renpure shampoo with the conditioner and my hair isn't falling out more then it normally would with brushing. Since I started using it over a month ago my hair has been so soft and manageable with hardly any frizz to it. Lyn, I don't know what to tell you. When I wash my long hair with shampoo, I always massage it thoroughly. My major hair loss has ceased. Don't want to be the one to tell you to throw it out, but I know my hair stays on my head, where it belongs now. When I was using the Renpure Cleansing Conditioners, it didn't! I wonder if the directions to massage your hair as you work it through your hair has something to do with the hair loss. I've only used it once, and so much hair came out. I wonder if I should give it one more chance, and just coat my hair with it and then rinse soon after that? Or should I just throw it away? Tracy, the shampoo I have been using for a while now, that I am very pleased with, is from True Pure. The conditioner that seems to work the best for me, is the Natural Wonderful Argan Mask. I have had almost none of my long hair leaving my scalp, and my hair feels great! I use the Rosemary Mint. I have no more hair loss than I did using a number of shampoo and conditioners. Some breakage and shedding should be accepted as normal. I notice that if I go a few days between washes, the amount is greater. I would believe it to be normal after brushing, sleeping on it, styling, etc. 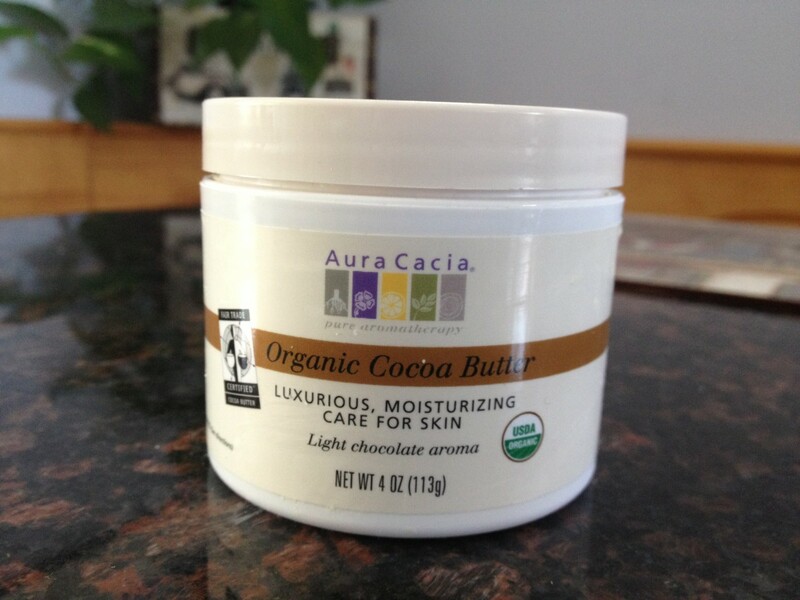 I have skin allergies and this one does not aggravate my skin. I would expect the Vanilla Mint to cause irritation, though, as I'm allergic to Vanilla. My hair is long (middle back). It stays tangle free all day, unlike other shampoo/conditioners which leave my hair a tangled mess by mid-day. I would love to know what shampoo/conditioner leaves one's hair intact after use. Head of Hair - I can be sure that the product contributed to massive hair loss, as I used it for quite a while, and saw the results. I agree with you, that hair loss can be caused by many different things, but when one is consistently doing the same things and simply uses a product they have not used before, with undesirable results, the logical conclusion is that the problem is the product. Since I have stopped using it, my hair is no longer leaving my head. How can you be sure it isd teh cleansing conditioner that is causing your hair loss? There are so many contaminants in the air today that it could be a multitude of things (and/or combinations of things). MariaGodiva, thanks for your comment. All I can tell you, is that I was losing a lot of hair, and since I changed the products I am using - I barely lose any! Lacey, I am using a shampoo now and a conditioner from the same company, that does NOT make my hair fall out when I shampoo it. I am fully aware that we lose a certain amount of hair everyday, but I was losing a LOT using cleansing conditioners. I would have long hairs on the floor around my desk chair, and shedding and falling on my arms, etc. Now, I rarely lose more than 3 or 4 hairs when I am washing my hair. My hair was most definitely getting thin, and I was seeking for remedies. Seeing the results I am having, I know that the products I had been using were contributing to my "hair fall". When hair begins the "growth" or "active" phase of its life, it falls off first, to grow better. Also, there's no need to shampoo your hair twice, all that cause is the need to use mote conditioner. I've always been obsessed with hair, which caused me to learn even the chemical compounds of hair and their structures. The concept of cleansing conditioners is wonderful. Shampoos dry your hair, no matter how good they claim to be. Rinsing excess oil off rather than stripping your hair sneaky clean is the way to go. Your hair will be oily for a bit until your scalp adjusts the amount of oil it needs to produce. I do recommend cleansing conditioners. I personally do like renpure, I've used the coconut line (I have 3 feet of straight brown hair) but all hair compounds are different. The reason your hair fell out is bc u suppose to have 100+ strands of hair fall out daily. The other shampoos stop ur hair from falling completely out wit a certain ingredient to make ur hair look more voluminous. So when u use the cleansing conditioner it takes those hairs that were suppose to have fallen out actually fall out. Thats why ur hair fell out. My hair falls out no matter what shampoo i use. 90% of the reason ur hair will fall out (more than it suppose to) is due to lack of vitamins. 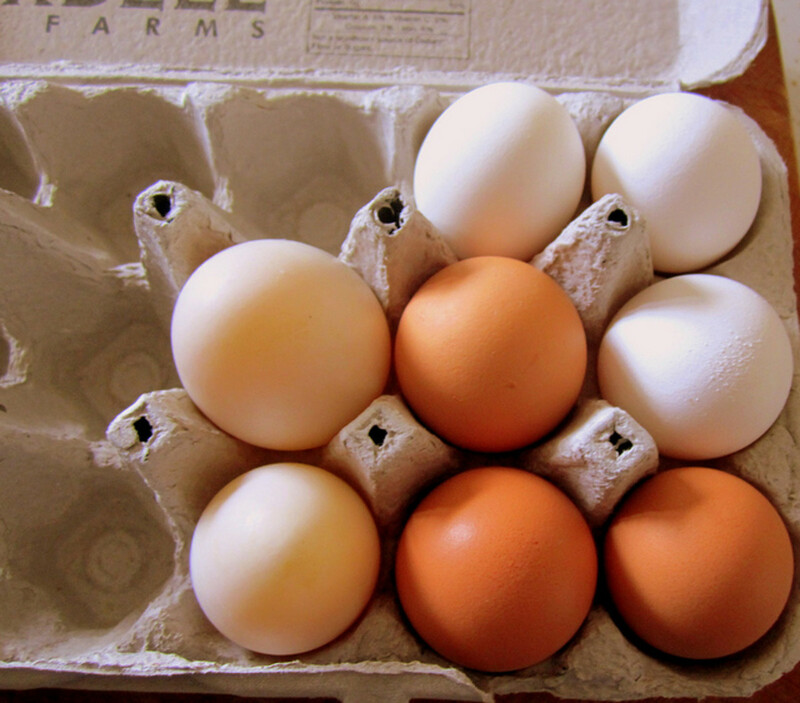 Your diet has more to do with your hair than any shampoo/cleansing product. I have not had very good success with leave-in conditioners. What seems to help my hair the most, is a sulfate-free, paraben-free, dimethicone-free conditioner with argan oil in it. I have used several, and cannot say which is my favorite, but that type of conditioner seems to be really good for my hair. Using conditioner alone, without shampooing my hair first, simply made me feel I still had a dirty head of hair. what about the other products ? 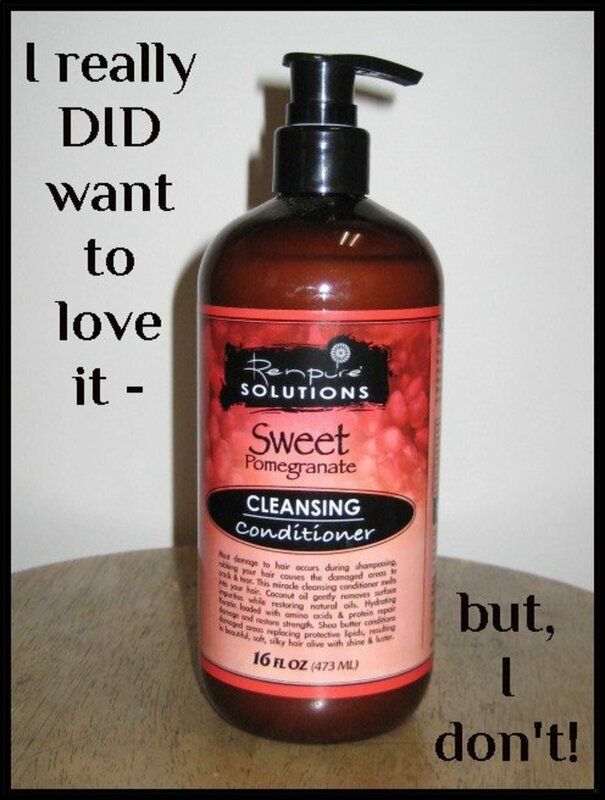 like the conditioners? leave in conditioners? Many apologies to those of you who asked questions and expected a response. You should have had responses from me a long time ago. In addition to our fine jewelry store and Moringa project, I have a very large family. I had not been keeping up with HubPages as much as I should have been, and was not familiar with the article being in Bellatory. Thank you - everyone who commented. Since the time I first wrote about why I stopped using Renpure Cleansing Conditioners, I have tried a myriad of different products, with varying degrees of success. 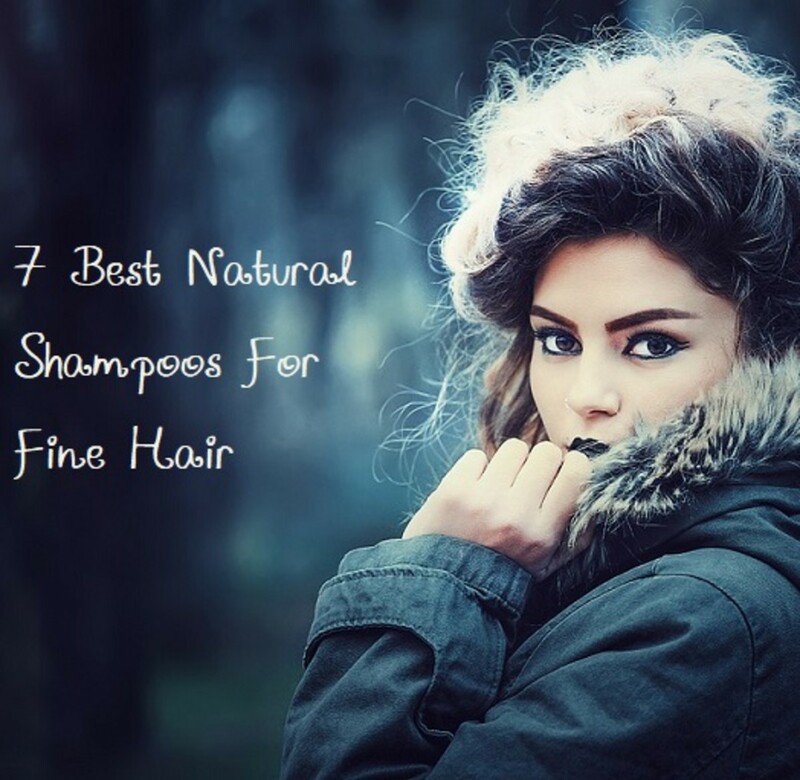 I am very fond of Art Naturals Organic Argan Oil Hair Loss Shampoo, and also Hair Growth Botanical Renovation Sulfate-Free Scalp Stimulating Shamp00 - the Clove Leaf and Moringa one. They seem to leave my hair ON my head, and healthy. I have also used the SheaMoisture Strengthen, Grow & Restore Shampoo, and while it doesn't not seem to make my hair fall out; it leaves it tangled. I don't care for that aspect of it. As far as what shampoo to use in the long run - I believe time will tell. At least, now, most of my hair is on my head, not in the sink or on the floor! Many thanks to all of you who commented. I haven't figured out how to thank you individually, yet! It says on the bottle that you're supposed to alternate with one of their coconut shampoo and conditioners after about every 6 washes give or take lmao. Just use it as directed and you shouldn't have problems. I have used Wen Lavender and I LOVE IT... I tried RenPure's Lavendar and instantly noticed a difference in the product. While Wen made my hair feel soft and healthy right out of the shower, easily combing, RenPure made my hair feel tangled and dry. I feel like my ends are more split and like my hair was finer. Which is not good because I have really fine hair. I didn't pay attention to any hair i might be losing int he washing/brushing process but now it makes sense why I have HATED my hair since using it and my hair feels super fine and fly away. I thought it was just the winter with the heat being on! I' am SO upset as I have been trying to grow my hair back out and went with cleansing conditioner to have healthier thicker hair. Honestly, I did better using plain old Suave Rosemary Mint conditioner as a cleansing conditioner versus Renpure. I am NOT happy that this product has made my hair finer and am tossing it in the trash. What a waste of $10!!!! I have noticed lots of hair on my hands also after about 2 months of using. I am stopping today!! Does anyone know if your hair thickens back up after you quit using it? Still wondering why Emily Tack (Shades of Truth) has not felt compelled to share her new found hair cleanser treatment that she now loves. Someone asked previously...still not answered. For me, the jury and the truth serum is still out on this. Full disclosure: I am using Renpure and while not the perfect de-tangler for fine hair, there seems to be less hair loss when combing out than other brands. used over the years. I am not saying there is not a better product. If there is, I have not found it yet, and would appreciate the author sharing the rest if her "truth shades". My hair looked great shiny and wavy but I couldn't breathe and my hands itched I thought it was something I ate then realized I had a new Renpure Coconut Cream shampoo and conditioner I tried this morning. After I washed my hair again after 6 hours of feeling worse with a clarifying shampoo I am feeling a lot better. Could be the fragrance? It is quite strong. i don't know what it is.My hands do not itch anymore. Thanks for the review.. Was going to try it but now no thanks... I've been washing my hair with baking Soda and so far I like how clean my hair and scalp feels... It is really weird at first how the texture feels while washing it and rinsing but takes really quick to dry by comparison to when i use reg shampoo and conditioner ... I heard if I'm gonna use baking soda then I also need to rinse every once one a while with vinegar to balance something or other out.. Will try it next .. BTW please read about WEN before using it as I heard it can cause severe hair loss and problems !!! Please tell me what shampoo Does NOT cause hair loss? If you are losing hair it's because it was brittle to begin with, and damaged. You are going to lose hair anyway. It's part of the exfoliation process. You don't lose hair when your pores are clogged. I'm 22 years old and I used to have a think head of long thick brown hair. All my life it's been extremely oily and I thought maybe a more "natural" brand would help this problem. Now, on top of unfathomably oily hair, it's all coming out. Thanks renpure. The day you stopped using RenPure and used a different shampoo, did you immediately see less hair in your hands and in the drain or did it take a few days to see less hair coming out? I've been using Renpure for a month, and I feel like i've noticed my hair thinning since I started using it, definitely a thinning spot right on the front of my hairline at my bangs. I'm 40, and this is new. I'm trying to figure out if it's the Renpure or my Adderall (which i've been taking for 15 months) that's causing the hair thinning. Europe has banned 1500 ingredients in body products, and this company- beautycounter.com is American but it follows the European guidelines. Great mission statement too. Worth checking out. Plus I just bought a shampoo from them, hasn't arrived yet, but will follow up here after I've used it for a month. Shades of Truth, what shampoo/conditioner did you find that has been working for you. I have spent more money, research and time looking for something good to use for my hair and haven't come across anything yet. I went 'poo-free' last year - a combination of hair loss and hand eczema made me try to cut out some of the stripping chemicals in shampoo. I must say, it is going well for me. Wen is too expensive, and I'd not heard of Renpure before reading this. We have 'Naked' conditioner, which is silicone free - the key to a decent cleansing conditioner. It costs about £5 for 500ml. Anyway - in short - this is great information! Thank you for sharing! I started using the Renpure Biotin shampoo and conditioner in Sept. I have lost so much hair due to this product. I would wash my hair and my hands would be full of my hair and not to mention the drain. I'm glad to see I'm not going crazy. I have long curly hair, that's been pretty thick my whole life. But after 2 months of using Renpure shampoo and conditioner I've been losing more hair than usual and can feel my hair thinning out. Done Renpure products for good. I was amazed as I read your article as it captured my experience to the letter! Thought I was liking the product and would prefer to continue to like it I now have reservations... I HAVE noticed some hair loss (not extreme but progressive) and had not made the possible connection to this product. I just bought 2 new bottles that I think I will return in preference of a change of pace and a check on what might be happening. I too agree that it is a mystery to me which of those ingredients might be causing the issue. The ingredient list was initially what attracted me! Thank you for a well written post. This was great to read because I use renpure products and have been for about three months. When I first started, I also got a new hair brush and noticed that with the new brush, there was very little of my hair being pulled out in the brush-out process. However, I recently noticed that there was more and more hair in there (I have cleaned out the brush twice in 10 days as opposed to once a month! )and I had not correlated it with the shampoo! Thanks! You are most welcome, Writer Fox. I was pleased with it, until I started losing lots of hair while using it. That was not fun. The shampoo I am using now, leaves most of my hair on my head - where it belongs! That list of ingredients is amazing. I must say that I've never looked at the ingredients of hair care products before, but I'll take your word for it not to use this brand. Thanks for the information! I am in the US, and these products are in our drugstores, grocery stores, and can be purchased online. The cleansing conditioners Renpure makes smell awesome, but it was not awesome to see the hair loss I had when I used them! Thank you, melissae1963, for commenting. I have long hair, and have to wash mine a couple of times a week. I am just not fond of seeing my hair fall out after using a cleansing conditioner, and glad I figured out what was causing it before I lost more! Thank you for such an informative post. I have extremely short hair and rarely wash my hair.